You can even crochet up a whole holiday display. 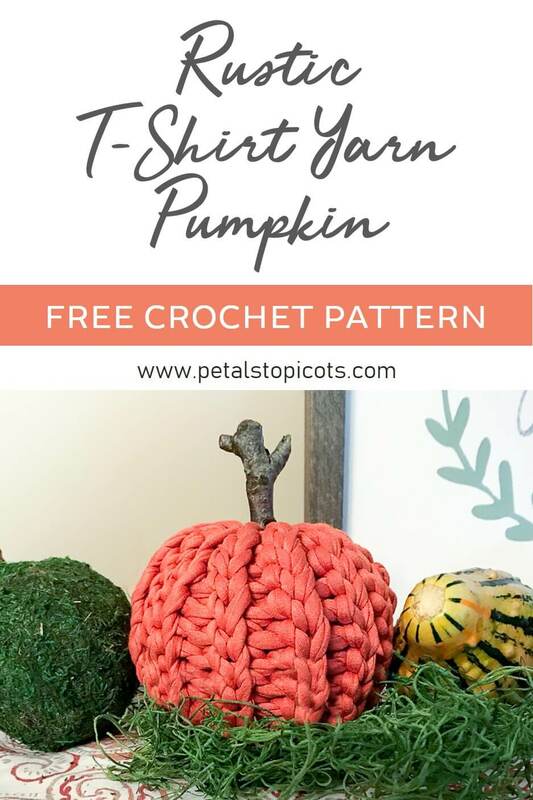 Try pairing it up with this little pumpkin crochet pattern or some needle felted leaves and acorns. And don’t forget about this adorable little turkey pattern for Thanksgiving! Row 1: Sl st in second chain from hook and in each chain across – 12 sts. Row 2: Ch 1, Sl st in the back loop only of each stitch across – 12 sts. Rows 3 through 23: Repeat Row 2. Fasten off leaving a tail of about 20 in. On the side closest to your needle and tail, close up the side of the cylinder by weaving the needle need through chain loops along edge as shown in the image below. Pull tail to close up hole tightly. Carefully push needle through hole and through other end (the open side of cylinder). Stuff pumpkin with fiberfill stuffing until desired density is achieved. Again close up open end of cylinder by weaving needle through chain loops, but this time do not pull too tight yet. Find a small stick from outside and position it through the remaining opening. Finish tightening the yarn to close up hole. 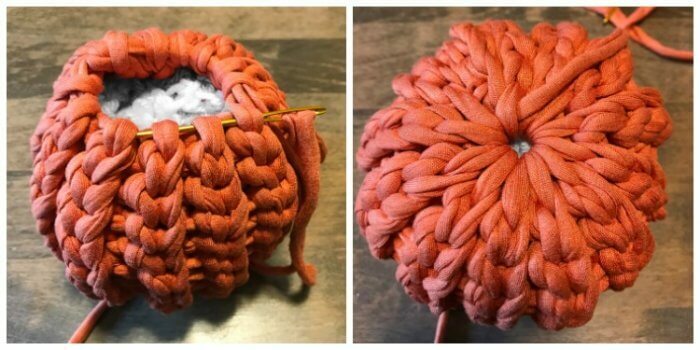 Weave in yarn to secure. 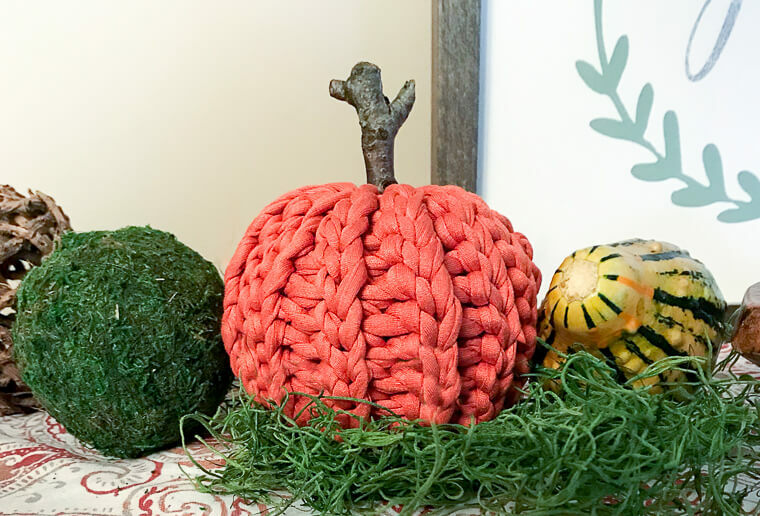 ​Did you enjoy making this Rustic Crochet Pumpkin Pattern? I’d love to see yours … share on Instagram and tag me @petalstopicots. Thanks for sharing this wonderful creation. 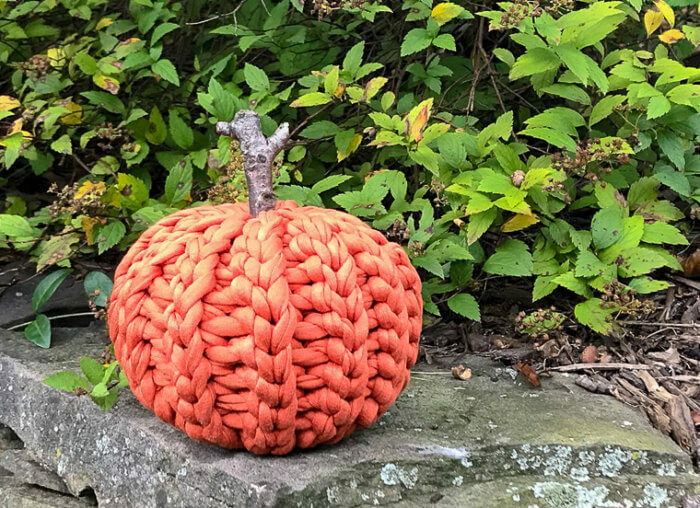 You prepared a yarn pumpkin, which really looks different and nice. These new things always give different look to our house without spending a penny. Your article inspires to create something new every time. Hi! Thanks for sharing the crochet pattern for Halloween candy corn treat bags. What a wonderful idea for candy and treats! I will be making these for my friends!